Healthcare marketing is becoming a tacky subject for marketing experts due to increasing competition. Take any xyz city for instance, you will find hundreds of medical practitioners and health care service providers offering same services and fighting hard to establish themselves. The ones who can clearly make difference with their offerings become successful, whereas some others may meet moderate success. Devising and implementing a marketing plan requires deep thoughts, effective marketing strategies and a thorough medium of expression. Healthcare advertisers can win most of their brand building struggles by employing highly expressive and effective healthcare magnets for the purpose. Striking communication out of blue – A newbie healthcare practitioner always finds it hard to establish and maintain communication with the patients. The same is case with some other established ones because people are always in search of some cost effective healthcare solutions or the ones, which offer them best value for money. The only way to strike an easy communication with a patient is by remaining before their eyes at all times. 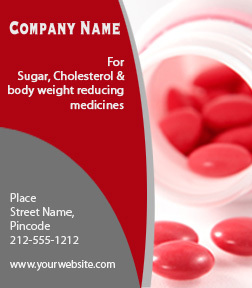 Advertisers can employ various types of healthcare business card magnets for the purpose. These custom magnets can be effectively handed over during blood donation campaigns, or other healthcare campaigns. People who receive these tokens will definitely put it across their refrigerator doors or other ferrous metal surfaces. And reach out to them when the time comes. Streamlining Communication – Healthcare service providers such as gynecologists, dermatologists, and neurosurgeons can always try to reach out to the right patients by offering typical magnets in shapes or symbols of these services. This will remind patients about the right choice available to them when their conditions worsen. Also, healthcare support services such as Red Cross can depend on Red Cross refrigerator magnet, pharmaceuticals depend on medication magnets, nursing services can depend on nurse fridge magnets etc. This type of magnets actually helps advertisers to reach out to their prospective customers with ease and streamlines channel of communication. Typical medical services can choose to hand over these magnets to their patients at the end of a service or during some awareness drives etc. Generating and Retaining Interests – Healthcare advertisers can choose to generate and hold interests of viewers by offering them something interesting as shaped magnets stethoscope magnets or dentist magnets or mortar and pestle magnets. Also, they can try to offer something special and value effective to retain the customer interests. For e.g. – Promotional magnets imprinted with details of healthcare services such as health plan custom magnets or healthcare insurances can be favored by advertisers for grabbing a customer’s attention. These magnets will be retained over refrigerator doors for more time and it will help to generate and retain the interests of a person for long time. Results are amazing, if one puts promotional healthcare magnets to best of use. There are endless ways to boost your medical practice by employing healthcare magnets for the task.